The past two weeks were a nightmare underground. 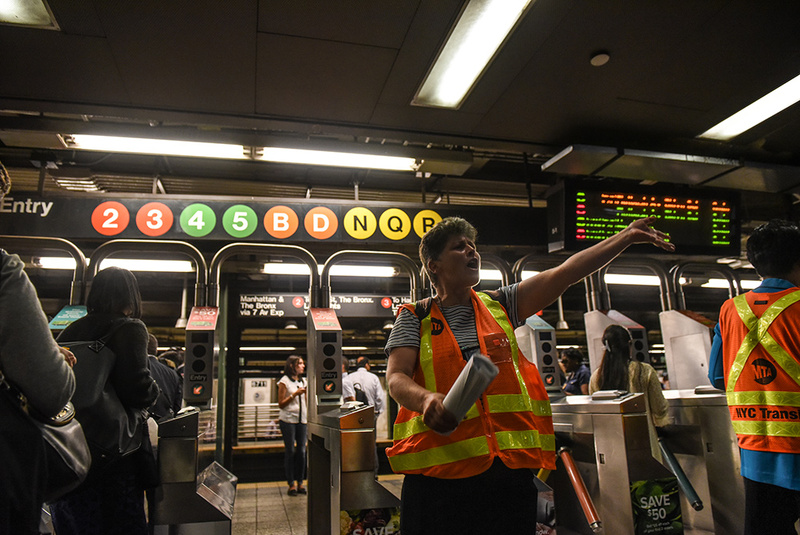 On Monday, signal and switch problems, plus a trespasser, meant rush-hour delays for passengers across eight city subway lines. A year and a half into an “emergency” subway action plan, things are a little better — but only compared to rock bottom. In June 2017, Gov. Andrew Cuomo declared New York City’s transit system in a “state of emergency.”He ordered the Metropolitan Transportation Authority, or MTA, to fix itself, handing it $836 million extra in city and state money — in addition to the nearly $17 billion it gets every year — to fix tracks, signals and cars, and respond faster to situations like sick passengers. Eighteen months later, how is the MTA doing? Slightly better on delays, but nowhere near as well as when Cuomo took office. Start with delays. In May 2017, only 62 percent of weekday subway trains arrived at their destination on time, down from 70 percent in May 2015 and 85 percent in May 2011. This slide meant that passengers on 67,452 trains endured delays in May 2017, up from delays for passengers on 21,732 trains six years earlier.